« To “Live Stream” Village meetings or not – a simple and experienced answer! 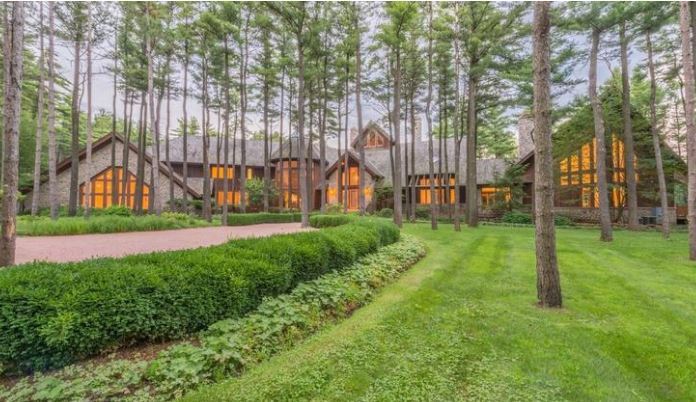 A five-bedroom, 20,513-square-foot mansion on 22 acres in Barrington Hills sold Monday for $4.4778 million — the highest-priced sale in the village since 2012. Built in 1999, the three-story, lodgelike mansion on Woodhaven Lane has 6 1/2 baths, seven fireplaces, a leaded-glass front door, a great room with 30-foot domed ceilings and floor-to-ceiling panoramic windows, a three-story, free-floating hickory spiral staircase that is enclosed by a glass turret, a two-story custom kitchen, a first-floor master suite with a spalike limestone bath, and a walkout lower level that has a pub, a wine wall with three chilling units, a home theater, a billiard room with a stained glass ceiling and an indoor gym.